Home > Church Blog > Community > Church in the Sun 2018! Please join us at our annual summer sunshine events. 2018 promises to be as much fun as last year with a friendly, informal atmosphere. Everyone, including dogs, are welcome! Don’t forget to bring your chairs or blankets to sit on. 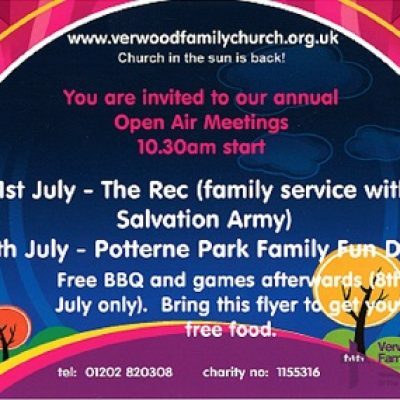 On Sunday 1st July we will be joined by our friends the Salvation Army for a relaxed service followed by refreshments kindly provided by the Salvation Army in the Memorial Hall. 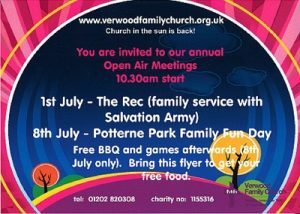 On Sunday 8th July, we will kick things up a notch, following our relaxed outdoor service with a BBQ and games suitable for all. Or if you prefer, you can just relax in the sun and chat. It’s all FREE!